"The bus traveled West on Elm Street to about Murphy Street and made a stop and that is when I saw Lee Oswald get on the bus." That's only a "fact" when you believe and rely on an unreliable witness. 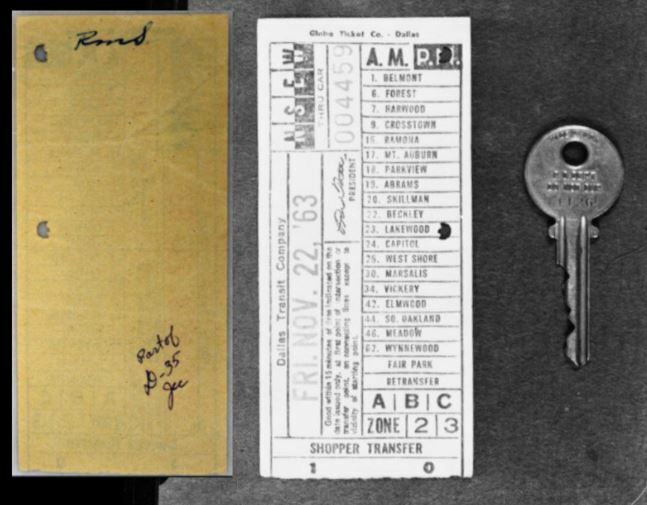 There is no evidence in the 26 volumes that supports the claim that LHO stayed at Bledsoe's boarding house. If you disagree then cite it. 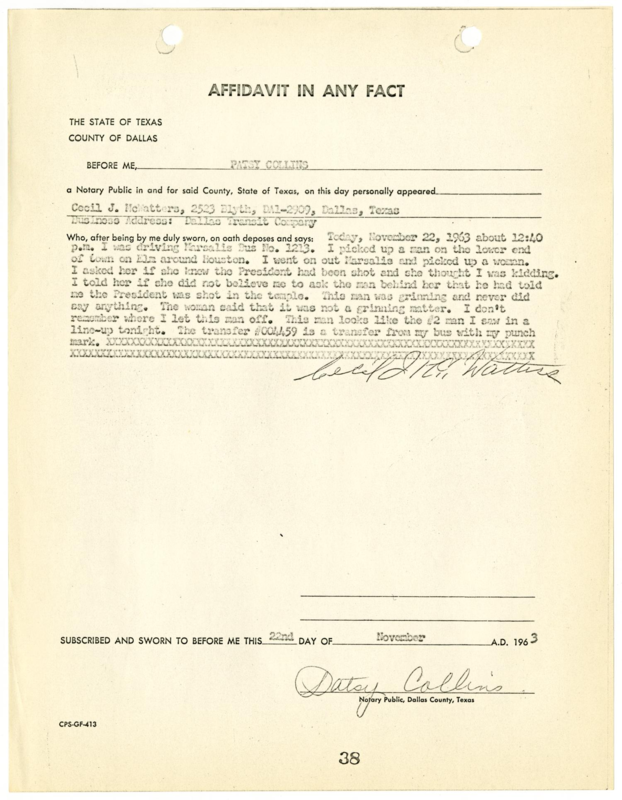 There is a document that could show that either LHO or a double did stay there, but it would also show that he would have known Jack Ruby too since it shows he was fighting with him on October 11, 1963. How does that change the fact that Bledsoe claimed to see a picture of his baby (not June) before she was born? Bill Chapman is a biased researcher. I've called him out on it time and again here. And yes, Bill, it *does* make a difference when you're biased. Mary Bledsoe the very next day said while on Elm street that Oswald got on and off after a few blocks , was this public knowledge? Also that the bus was stalled in traffic? And that her bus that went to her house just happened to be in the location she said it was? Or that while the bus was stalled that someone said the President was shot. was appropriate to recall vs. what was not.